You don’t have to step into the street for Madrid’s roads to pose a hazard to your health: air pollution from cars in the city might just knock you over. Scientists are finding links between the gases and disease. Pollution is not quite a top-ten killer – in Western Europe, lifestyle choices such as smoking, lack of exercise, and an unhealthy diet pose a bigger risk. Yet strikingly, the diseases linked to particulate air pollution may be the hardest to avoid if you cannot avoid the pollution itself. 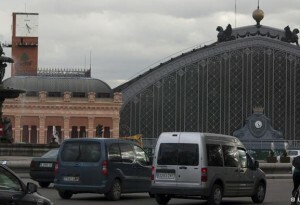 In Madrid, three quarters of air pollution comes from motor vehicles. On bad days, a brown cloud sits on top of the city – prompting residents to call the smog cloud “boina” or beret because it looks like the city is wearing a cap. More objective measures of the city’s air pollution show that it regularly exceeds European-mandated levels of gases and particles. 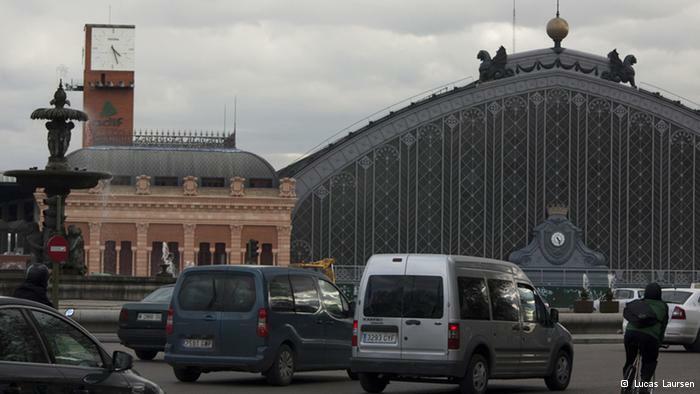 Madrileños – or Madrid residents – walking around Atocha, one of the city’s biggest roundabouts, offer a variety of solutions for tackling the pollution problem. “We need to reduce traffic and produce cars that use other sorts of fuels,” said one woman. According to studies by Julio Diaz, a researcher at the Carlos III Health Institute in Madrid, even small increases in air pollution can cause the number of people admitted to hospitals with circulatory and respiratory illnesses to rise. People may not fall over and die in the street from air pollution, but it can be the last link in the chain,” he pointed out. Since it’s tricky or maybe even impossible to blame any one hospital visit or death on air pollution, researchers are investigating various types of pollution and looking for links to the population’s health as a whole to glean more information. “We used to look at total suspended particulate matter in the air, then we realized that the effect of the particles was closely related to their actual size,” said Begoña Artiñano, of Madrid’s Center for Energy, Environmental, and Technological Research. She and her colleagues are at the forefront of developing these new measuring techniques. Spain’s pollution-monitoring stations track two sizes of particles, along with gases such as sulfur dioxide, nitrogen dioxide, and ozone. They also track persistent organic pollutants and suspended heavy metal particles. Measuring in this differentiated way helps public health researchers identify relationships between specific pollutants and diseases. A recent study by another research group at the Carlos III Health Institute found that people living within five kilometers of incinerators and junkyards – which emit arsenic and chromium, among other things – have an around six-percent higher chance of dying due to certain cancers than people who live further away. Globally, air pollution shortens lives by an average of 8.6 months, according to the World Health Organization – with people primarily affected by cardiovascular and respiratory diseases and lung cancer. Madrid has succeeded in reducing its sulfur dioxide levels, for example, by promoting natural gas heating as a replacement for coal. But, the city has also taken short-cuts. 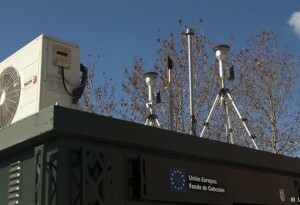 In 2010, city officials moved some of Madrid’s air- monitoring stations from traffic-choked streets to quieter parts of the city, like parks. Pollution levels thus dropped, but now researchers can’t compare the new data to the old. Some people accused the government of fixing the data instead of the pollution problem. If that’s true, they didn’t do a very good job: the city’s own measurements show that they still regularly exceed European recommendations for nitrogen dioxide levels. Still, the city can use the data generated by its stations to evaluate the air-quality plan it enacted last year. It calls for low-emission zones in the city and the promotion of electric cars, public transportation and bicycle use. Some of the plan has been turned into reality. At Puerta del Sol, Madrid’s symbolic heart, bright red paint marks a new cross-town bicycle lane. But most of the time it’s empty, while rows of honking traffic idle beside it. In the hope that the pollution will go down, Madrileños can cross their fingers – but they can’t hold their breath.